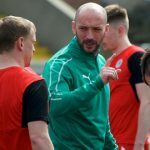 In a week that has seen no shortage of Cliftonville players earning representative acclaim, our latest congratulations go to three youngsters poised for Lisburn League honours later this year. 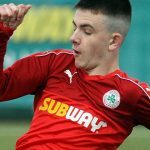 Following on from Reds stars being selected for international action at Under 19 and Under 17 level, as well as some of our Under 15 players taking part in an international tournament in Las Vegas, we today offer our best wishes to Football Development Centre talents Sean Nealin, Carson Anderson and Josh Montgomery, who have been called up for a Lisburn League Select side that will compete in two tournaments over the summer. 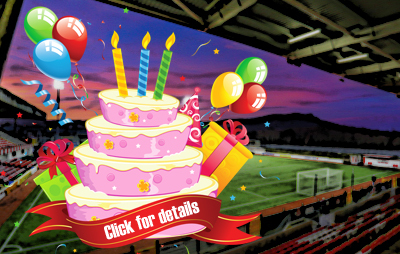 Cliftonville Football Club are hugely proud of the number of our young male and female players regularly afforded either international status or the opportunity to play on behalf of their respective Leagues and take this further opportunity to acknowledge the contribution of the FDC coaches whose dedication continues to maintain and enhance the standards within the Club’s underage set-up.